As unpredictable as Mother Nature can be, the Storm 2625 two-stage snow thrower from Troy-Bilt is up for the challenge. 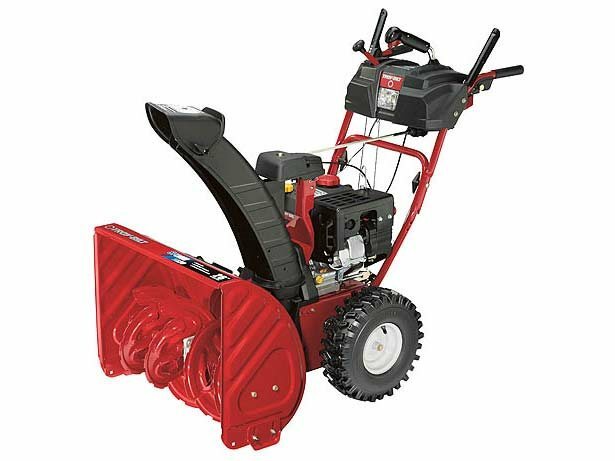 Powered by a dependable 243 cc Troy-Bilt engine, the Storm 2625 cuts into drifts with patented Xtreme™ augers, breaking up tightly packed snow before discharging it through an extended, clog-resistant chute. Other features of the two-stage snow thrower include Just One Hand® operation, 200 degree chute rotation and an in-dash headlight for added visibility while clearing your driveway in the darker hours.